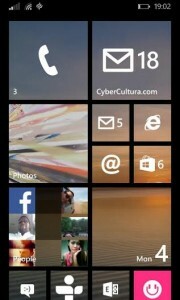 Windows Phone 8.1: stuck in spinning wheels problem? F. Thorn 21 August 2014 Mobile Phones, Windows Phone Be the first to give your opinion! Slowly but surely Microsoft and Nokia keep releasing Lumia Cyan for different devices worldwide, the Windows Phone 8.1.14147.180 update keeps the firmware version: 3056.40000.1349.2001 but adds Cortana and other features. In the UK devices like the Lumia 520 are being updated from Windows Phone 8.0.10521.155 to Windows Phone 8.0.10532.166 to allow another update to finally get Lumia Cyan. 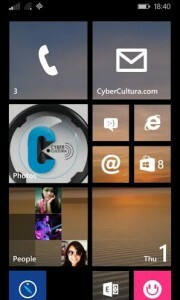 Today Microsoft has released a new update for Windows Phone 8.1 Developers preview but not yet the Lumia Cyan update. The update notifies that the following features are available: create folders on your start screen to keep apps organised, select multiple text messages and forward them as one and more!. After the update the 'Photos' tile changes temporarily to some crayons instead of showing the current photos saved in the mobile phone but after using the photos tile it goes back to normal. Today some users have received an update to the newest version of the “Lumia Cyan” and some others received an update to Windows Phone 8.10.12400.899 (also known as firmware version: 3056.40000.1349.2001) to solve a problem updating to Lumia Cyan. The Lumia Cyan (Windows Phone 8.10.12400.899) release is now officially available worldwide. It has been confirmed to be available in the following countries: Argentina, Brasil, England, France, India, Ireland, Spain, The Netherlands and several locations in Europe and the middle east. 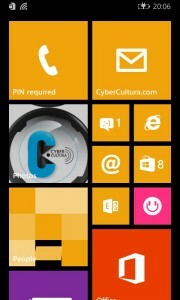 Windows Phone 8.1 Lumia Cyan is now available! This is the week that Microsoft announced the official launch of their new Windows Phone 8.1 (Lumia Cyan) and it seems that it already started rolling out in different countries. There are confirmed reports of its availability in: Argentina, Finland, Spain, Taiwan, Thailand and Turkey which already have started to receive an update to Windows Phone 8.10.12397.895. 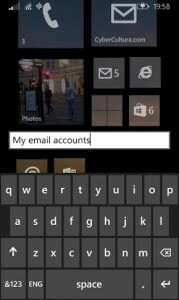 F. Thorn 06 June 2014 Windows Phone Tags: Windows Phone Be the first to give your opinion! This week the update 390 for Windows Phone 8.1 was made available, nevertheless, some days ago a document leaked on twitter revealed the possible dates that Windows Phone 8.1 Cyan will be available for the BeNeLux region (Belgium, Netherlands y Luxembourg). 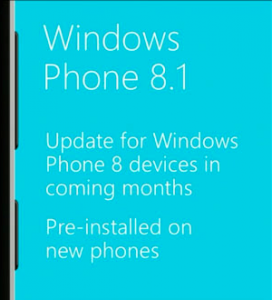 Yesterday, as the WWDC was happening, Microsoft released a new version of their Windows Phone 8.1 (for developers). This new update 8.10.12393.890 , as usual, doesn't seem to have a list of official changes made. However, some users started to receive the update over the air yesterday and have now confirmed that although there are minor bug fixes there are interesting new features added in this update. Watch out Google: Nokia invests $100 million USD to create smart car! F. Thorn 09 May 2014 People and Science, Windows Phone Be the first to give your opinion! Earlier this week Nokia has announced the creation of a $100 million USD fund to identify, invest and support companies currently developing smart car technologies. The smart car’s area has been taken first by Google, who recently tested their car in a city. However, as some other companies, Nokia has decided to join the quest of the ideal “Smart Car” through Nokia Growth Partners (NGP). Rajeev Suri, CEO and president, declared that important investments are expected to be done through Connected Card project as well as improving their current navigation app: HERE (Windows Phone).